Dig it, Groove-philes! 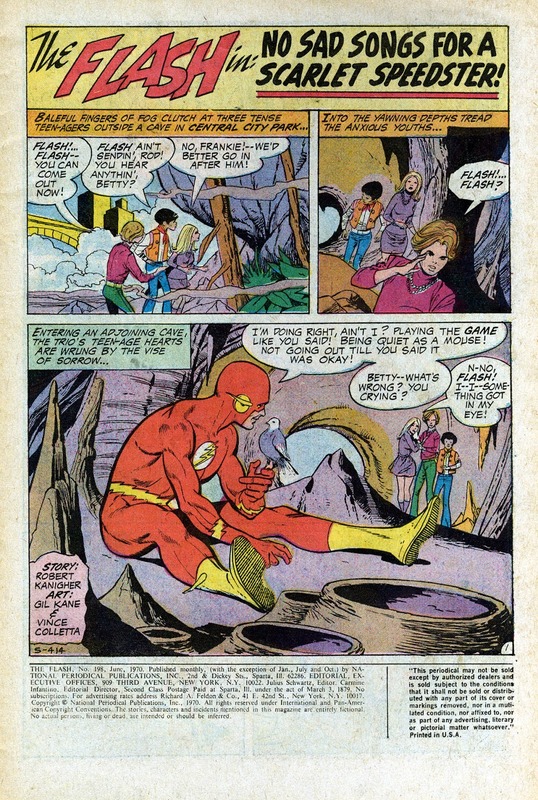 For a short time during the Groovy Age, Gil Kane drew four issues of The Flash! Bet ya forgot all about that, huh? 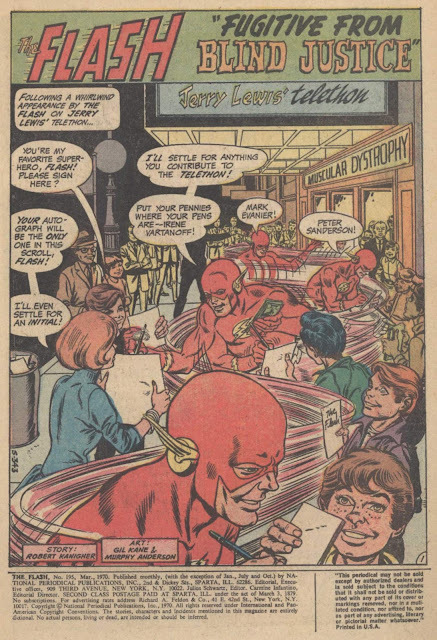 Well, it's true--his action-packed art graced Flash issues 195, 197-199 (January, March-June 1970). 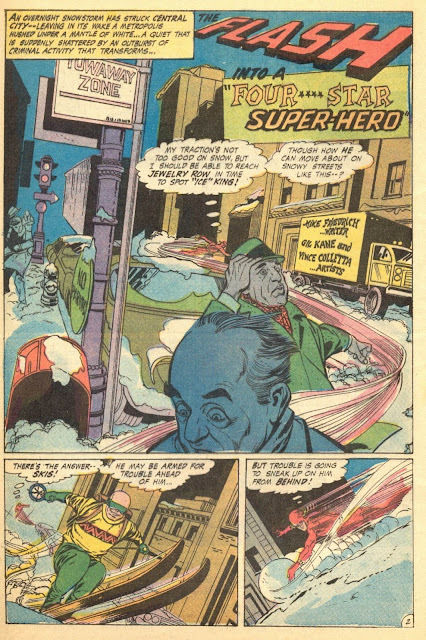 The first tale was inked by Murphy Anderson, the other three by Vinnie Colletta. Yep, Kane came and went in a (dare I say it?) flash (waaaa! ), but you don't have to speed through this post. Take your time and enjoy these sensational splashes, baby! It never ceases to amaze me how different illustrations look with different inkers. I think inkers are too often overlooked for their contribution to the look and feel of a book. 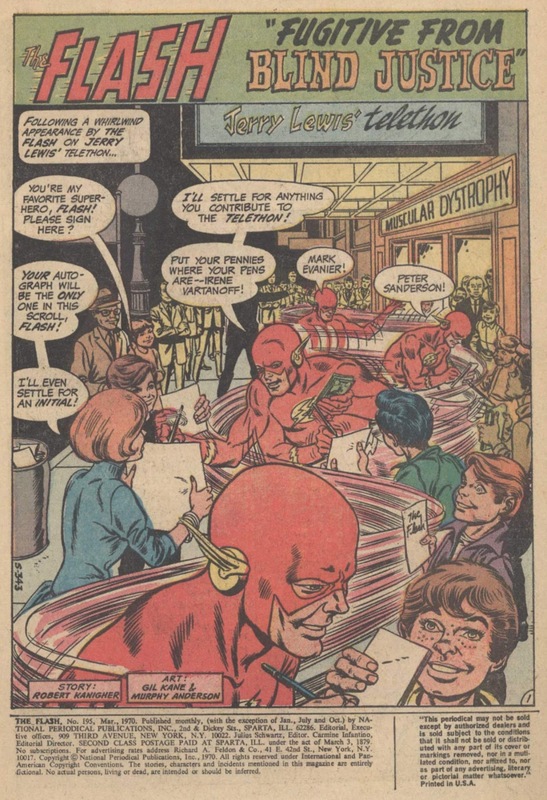 I think I'm going to have to dig up these issues, as I'm a huge fan of Gil Kane's work and enjoy silver age flash stores. Hey! That's my wife getting an autograph in that first splash page! Indeed it is. Cute nod to some of our letters page favorites! Call me crazy, but I always thought that some how Gil Kane and Vinnie Colletta meshed really well. I feel like they each evened out the other's weaknesses, if you know what I mean. I wasn't aware Gil had any weaknesses. 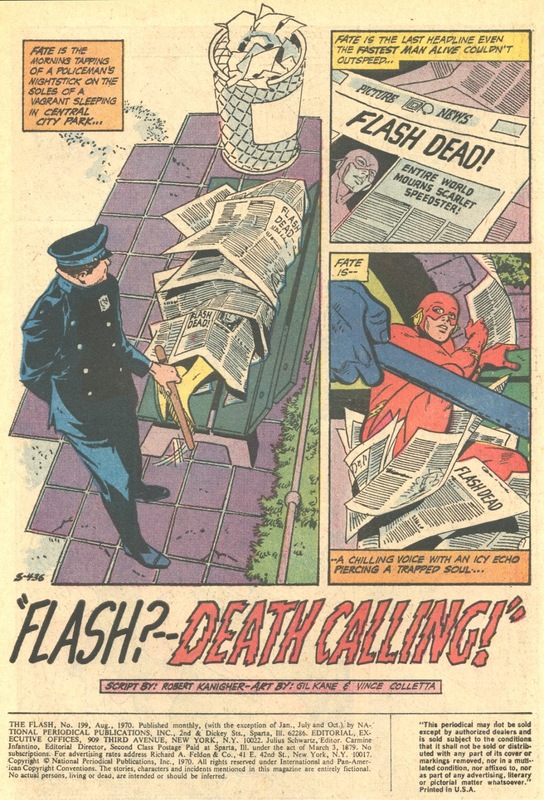 comics.org shows these stories have never been reprinted...wonder if they'll ever show up in a blog...hmmmm? As Deputy Dawg would say, "It's possible!" 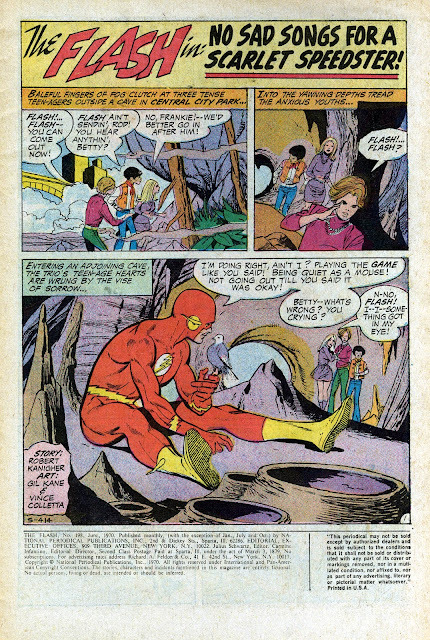 I don't think Gil Kane ever did a bad art job. Once he was unshackled from his more traditional approach in the early 60s he became the Gil Kane of the Silver and Bronze Ages that we all loved. The result was thousands of pages of covers and interior pages filled with great art. Of course there were differences between his usual spectacular efforts and those above the rest such as What If # 3.